TLC Pet Food – Star Creek Kennel, L.L.C. What Food Should You Feed Your Puppy? Choosing the right food to feed your new puppy is crucial to their overall health and well-being and something that should be done with careful thought and consideration. This is one of the many reasons why we choose to feed our dogs and proudly recommend TLC Whole Life Puppy Food. 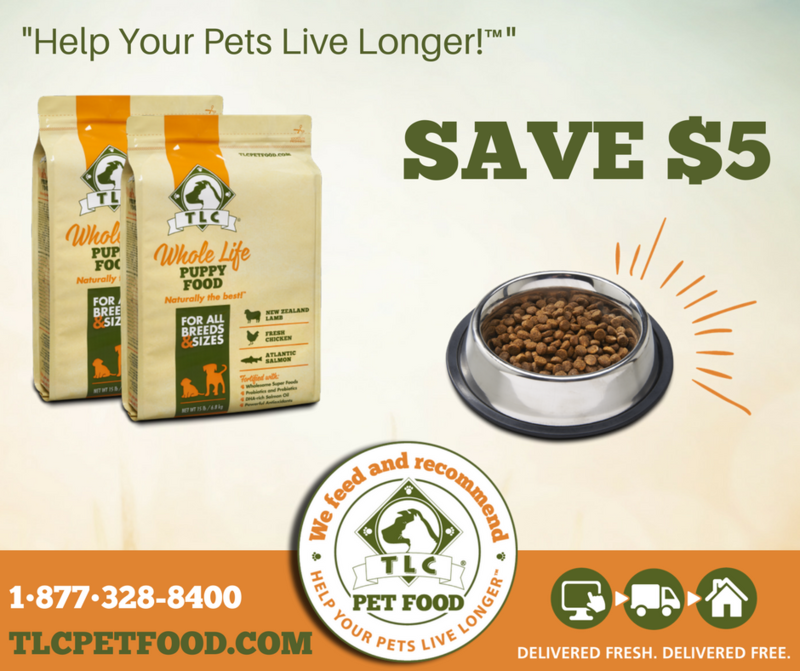 Delivering the ultimate balance of quality meats, animal fats, vitamins and minerals, TLC Whole Life Puppy Food provides everything your puppy needs to develop into a strong, healthy and energetic dog. Why Choose TLC Pet Food? Schedule using Autoship and never worry about running out of food! TLC is sold exclusively online and delivers their pet food for FREE, anywhere in Canada and the U.S. Using the convenience of Autoship, you can schedule your puppy’s food deliveries according to their needs! You can change, adjust and cancel Autoship anytime, giving you the flexibility you need as your puppy grows.